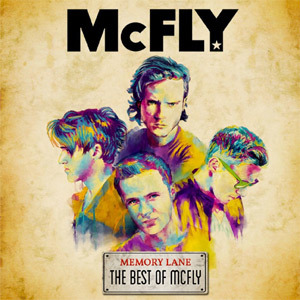 McFly (formed 2004) McFly are an English pop band consisting of Tom Fletcher (vocals/guitar), Danny Jones (guitar/vocals), Dougie Poynter (bass) and Harry Judd (drums). 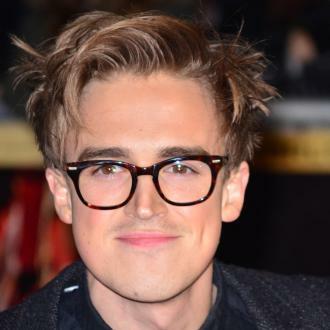 Formation: McFly's story began when Tom Fletcher was enlisted onto the songwriting team for the band Busted. 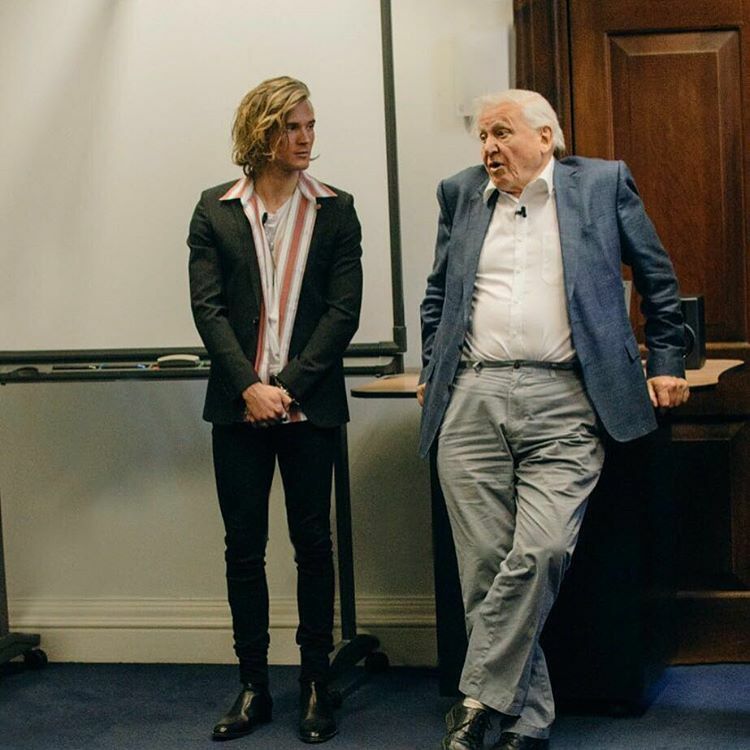 He was soon asked to audition to be in a band called V and at these auditions he met Danny Jones who he roped in with him on the Busted songwriting team. 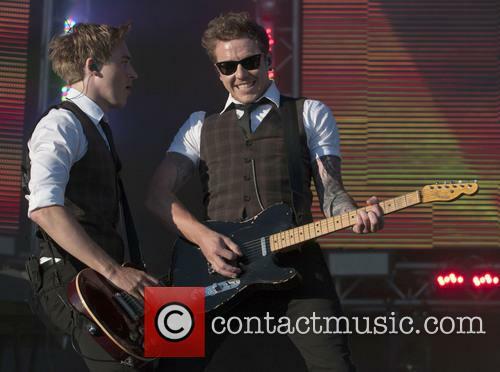 They soon stopped writing for Busted and decided to collaborate and make a band, advertising auditions in NME. Dougie Poynter and Harry Judd were subsequently recruited with the pair making acquaintance over their shared love of 'The Starting Line'. 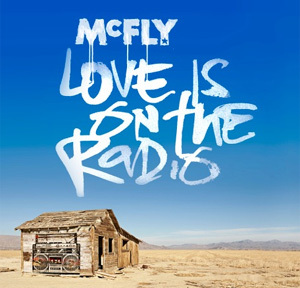 Fletcher chose the band name 'McFly' after Marty McFly in 'Back To The Future'; while Jones was initially reluctant to agree on the name, he soon warmed to it after watching the movie. 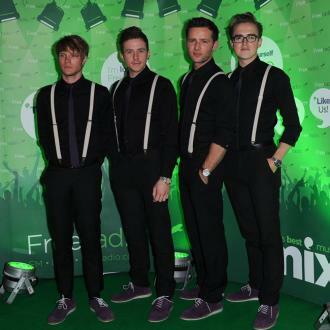 Musical career: McFly released their debut single '5 Colours in Her Hair' in 2004, entering the UK chart at number one. Second single 'Obviously' then followed suit. They released their debut album 'Room on the 3rd Floor' also opened at number one, was certified double platinum and broke the world record for the youngest band to have a debut number one album. The same year saw them support Busted on their tour as well as V and, later, headline their first tour. In 2005, they released the double A side number one single 'All About You/You've Got a Friend' from second number one album 'Wonderland' for Comic Relief, the video for which was shot in Uganda, Africa. In the same year, they co-headlined Live 8 Japan with Bjork and Good Charlotte, released 'Wonderland''s second single 'I'll Be OK' which also reached number one, released their first live DVD from the Wonderland Arena Tour where they were supported by Tyler James and Famous Last Words and later played at the 2005 Royal Variety Performance. In 2006, they made an appearance in the Lindsay Lohan movie 'Just My Luck' for which they contributed to the soundtrack. Their first single of the year was double A side 'Please, Please/Don't Stop Me Now' which became the official song for Sport Relief 2006 and, again, reached number 1. Their third album 'Motion in the Ocean' was also released with single 'Star Girl' reaching number one. 2007 saw them release their seventh number one 'Baby's Coming Back/Transylvania' as well as their 'All the Greatest Hits' compilation album in 2007 featuring three new songs 'The Heart Never Lies', 'The Way You Make Me Feel' and 'Don't Wake Me Up'. Their subsequent tour was supported by Elliot Minor and Saving Aimee. In 2008, they gave away their fourth album 'Radio:Active' in The Mail on Sunday before releasing it again with four added tracks, a DVD and a 32-page booklet. It's single 'Do Ya/Stay With Me' was released for Children In Need but was their lowest charting single so far. In 2009, they were surprise guests at the Jonas Brothers' show at Wembley Stadium and they gave a rendition of 'Star Girl'. In 2010, fifth album 'Above the Noise' was released. First single 'Party Girl''s music video was voted number one by fans in the 4music Video Honours of 2010 after it was taken from their short movie 'Nowhere Left to Run' released later on DVD. In 2011, they released their first jewellery range with Gioia Jewellery, Dougie won the eleventh series of reality jungle show 'I'm a Celebrity...Get Me Out of Here!' and Harry won the ninth series of televised dance competition 'Strictly Come Dancing'. Harry was also invited to carry the Olympic Torch for the 2012 London Olympics and the band performed in Hyde Park for the Olympic BTLondonLive celebration. In 2012, it was announced an autobiography entitled 'Unsaid Things: Our Story' was due for release as well as another Greatest Hits album. 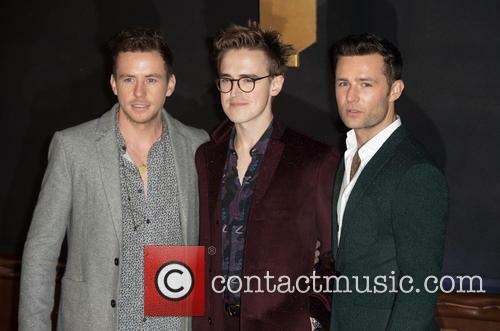 McFly and Busted reunion tour sees them hit Hyde Park 2014 with special guests Backstreet Boys. 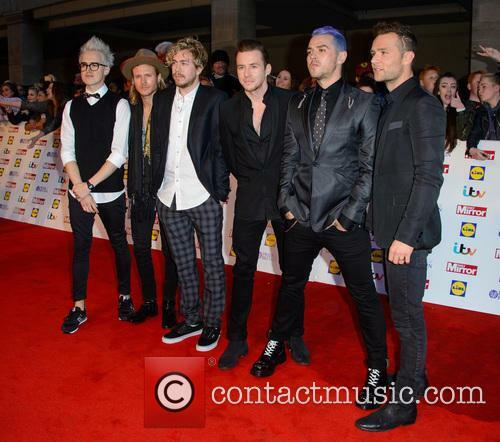 McBusted announce the biggest show of their careers as they prepare for British Summertime Hyde Park in London on July 6th 2014. 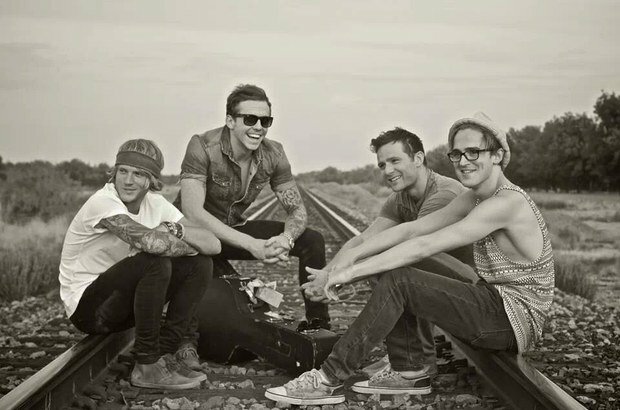 McFly and Busted have taken the world by storm since they decided to team up as McBusted (minus Charlie Simpson), so much so that they have been forced to extend their original 9-date tour next year to 32 dates, to their utter amazement. And things are only getting better for this newfound supergroup as they were recently told they'd be headlining at the British Summertime Hyde Park next year, with special guests fellow boyband Backstreet Boys. They have been posting messages to their followers on Twitter about a major announcement, yesterday (December 8th 2013) revealing, 'We have HUGE announcement to make on Monday morning...we cannot wait to tell you about it!' and eventually confirming, 'Have you heard? 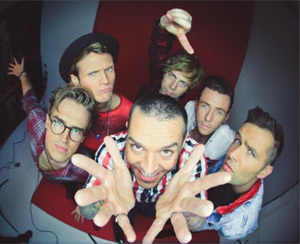 MCBUSTED ARE HEADLINING @BSTHydePark on Sunday 6th July.... Tickets go on sale Friday at 9am!' Their combined Twitter account also saw various re-tweets from each of the band members expressing their insatiable excitement. Tom and Giovanna had a special message for their fans. 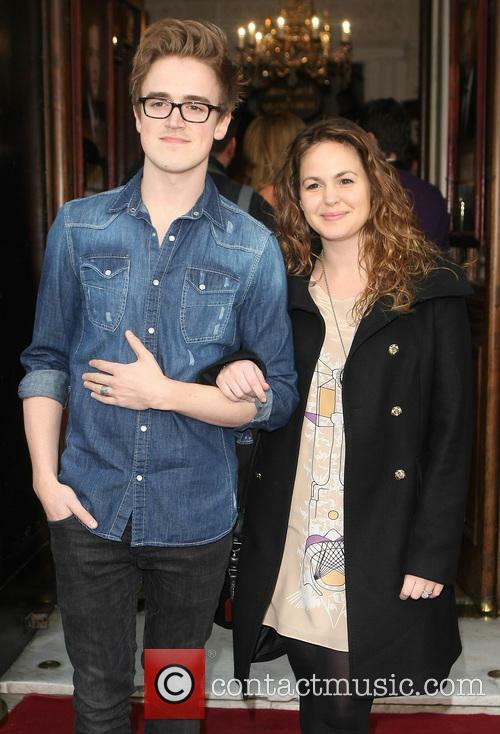 The latest from the world of smooshy romantics: McFly's Tom Fletcher and his wife Giovanna have announced that they're about to become parents in a music video posted on Tom's YouTube channel. Tom & Giovanna Are Expecting A Baby. The pair took advantage of the upcoming Autumnal holiday to announce Giovanna's pregnancy in a novel and rather adorable way. The short ditty shows the couple, who recently married, gathering up pumpkins, playing with their cat and carving away busily whist the track plays. 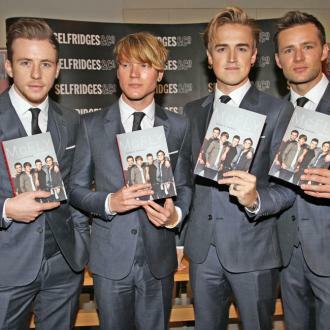 The release of a second Greatest Hits album in less than five years might seem a bit excessive for some artists, but riding high on recent various reality show wins, autobiography releases and infamous wedding videos, McFly seem to get away with it. In their defense, they have released plenty of new material in this interim period; two-thirds of the tracks on newest compilation release 'Memory Lane' do not feature on the previous Hits album, plus there are three entirely new songs from the boys. There is a great selection of tracks included, a range of favourites along with some slightly lesser known songs, but all spanning the eight year period since their debut was released to present day. Early singles Five Colours In Her Hair and Obviously hark back to the days when McFly burst onto the scene with their infectious bubblegum pop sound and innocent lyrics. They may not be groundbreaking either lyrically or musically but their tunes are undeniably toe-tapping and great to sing along to. All About You remains one of their stand-out songs, so it's no surprise to see it included on Memory Lane's tracklist. With its string accompaniment, heart-warming lyrics and simple guitar melodies, it's no lie that every girl also wanted to be spun romantically around their kitchen after hearing this track. 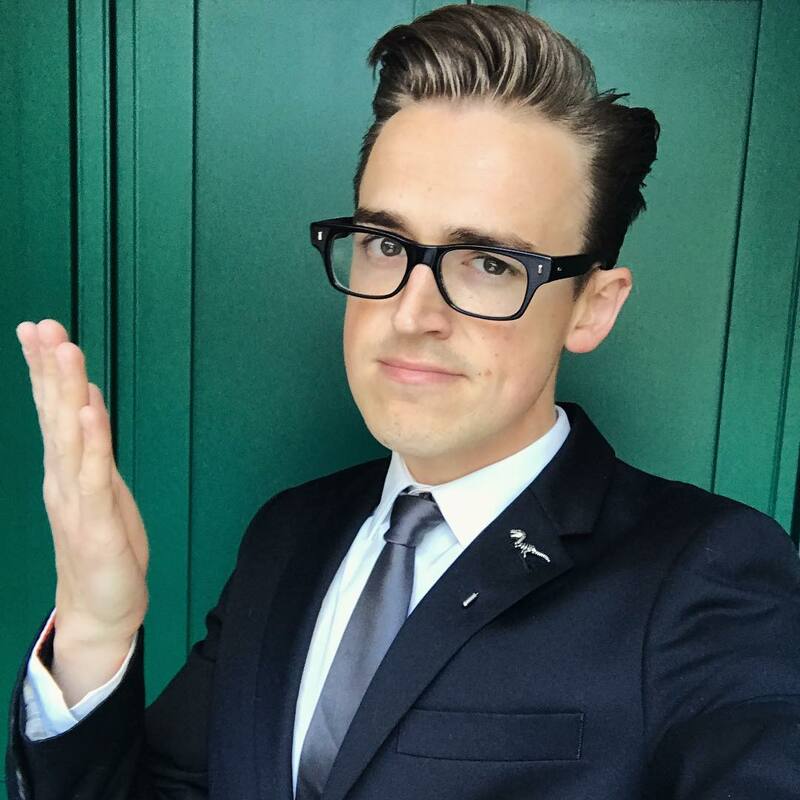 Tom Fletcher's wedding speech was probably a little different to the stuttering start-stop effort of the average Groom. 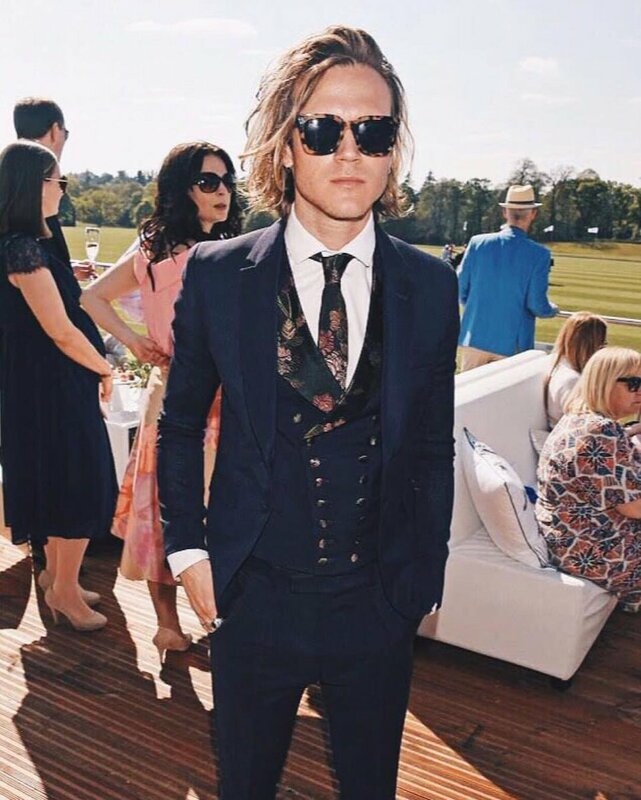 The McFly singer married his girlfriend Giovanna Falcone last May, though waited until this week to post a video of his wedding speech, or should that be wedding song? Yep, you've guessed it, the singer-songwriter who's had seven No.1 singles decided to sing to his bride after claiming he was too nervous to deliver a speech. 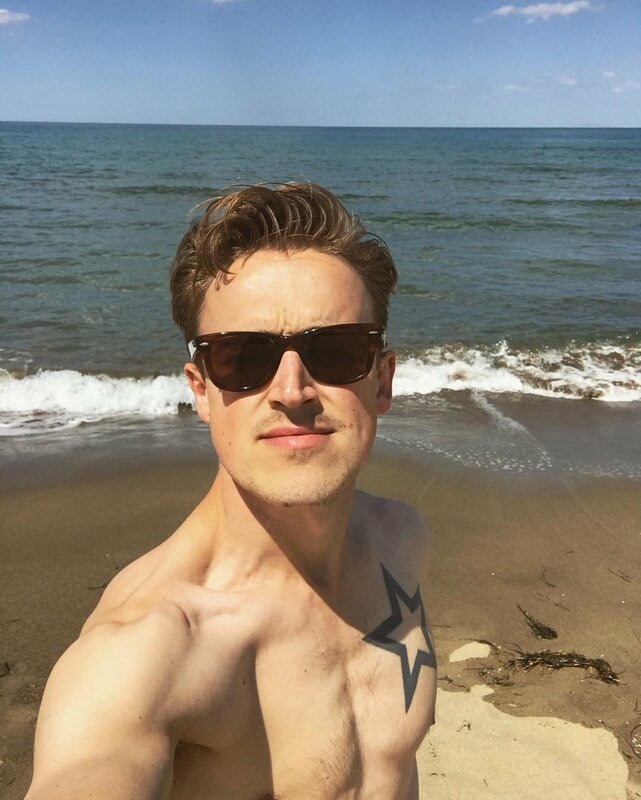 Before launching into the track (to the melody of various McFly songs), Tom said, "I don't have any idea how to write a good speech but I do know how to write a song, so I hope this isn't cheating my way out of it too much." The 15-minute ditty began with Fletcher crooning, "Recently I've been, having a wedding, I've married this girl, who's out of this world, believe me." Was it as sickly as it sounds? Probably. 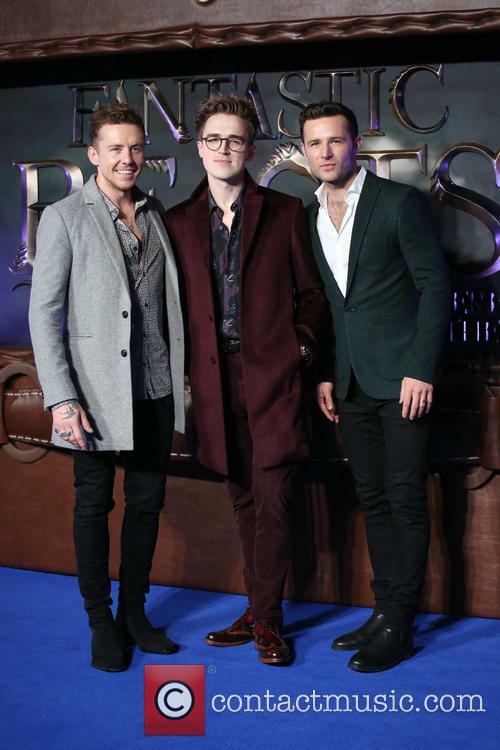 Nevertheless, Fletcher managed to get through it while entertaining his guests, including best friends Harry Judd, Dougie Poynter and Danny Jones. 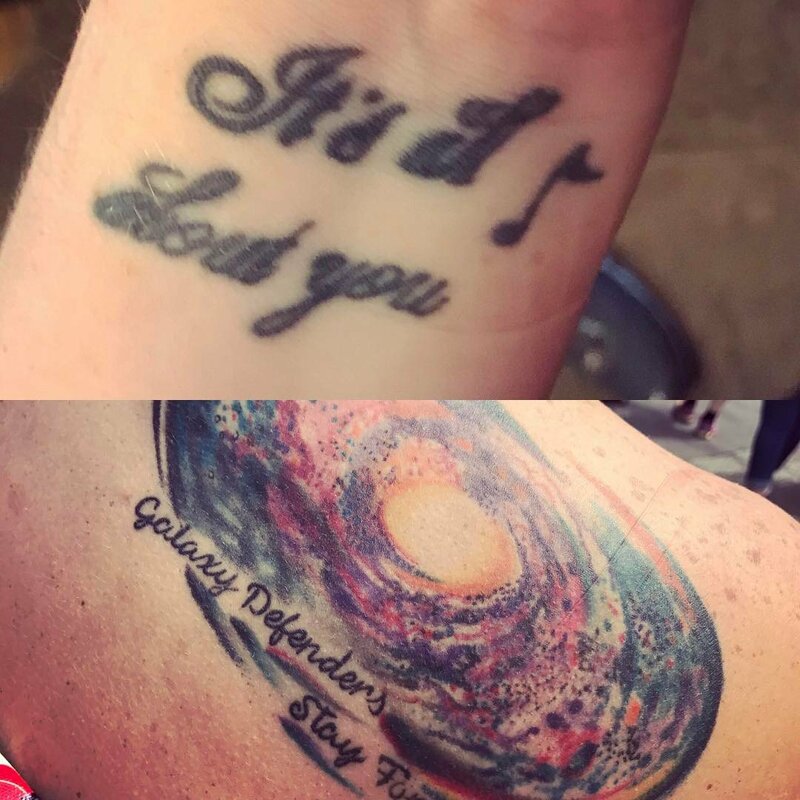 He sang, "Thanks to my best men, you are the best friends, that I know I will ever have, you're more like brothers, sometimes lovers but we won't tell them about that.We've been together for what feels like forever but I'd do it all again and again, but we're only getting started and I know McFly will never end." Olly Murs is currently riding high on the UK Singles chart with ‘Troublemaker’ but can he make it a double-whammy with his third studio album? It will mean shaking Rihanna off the top of the tree; she’s currently sat there with Unapologetic, but will the UK decide to favour Olly’s boyish charms, over tabloid perennial Rhi Rhi? Right Place Right Time is the third full-length release from Murs, who manages to maintain a presence on prime-time TV with his Xtra Factor presenting duties, even when he’s not releasing records. His harmless and affable charm seem to do as well for him as his song choices and the success of ‘Troublemaker’ will, of course, help sales of the album. Which just happens to be coming out a few weeks before Christmas. Which is kind of handy because he’s the kind of middle-of-the-road pop act you can purchase as an ambitious stocking filler, or for your Secret Santa at work, for the girl that doesn’t really seem to care about music very much. When reviewing the album of a manufactured band of the 21st century, it's not entirely clear what's to be praised of the band itself. Commending the writers is often not a praise of the band, nor is 'brilliant production' often easily attributed to the band itself. The only compliment that can be mustered is something along the lines of 'your auto-tuned singing is nice'. And, who do you compare a band like One Direction to? Every Boy Band Ever springs to mind. Disseminating the different roles at play in a manufactured band is ultimately fruitless, so we'll take 'Take Me Home' as a whole, and simply work out whether or not we like it. As a whole, the answer is, simply, no. By saying that we don't like it does not, however, mean that it's a bad album. What it wants to do, it does. The crowd it wants to draw in will be drawn right in. The world-wide screaming 14-year-old fanbase love nothing more than sweet-cheeked boys that sing about the centre of the world kind of relationship that all teenagers believe they're in. In a song like 'They Don't Know About Us' this is the theme, because 'they' is everyone else, and 'us' are the only two people that matter. 'Live While We're Young' has obvious appeal to the youthful masses, as does 'Kiss You', the upbeat tempo of which will be very well suited to the high sugar content of most adolescent sleep overs the world over. 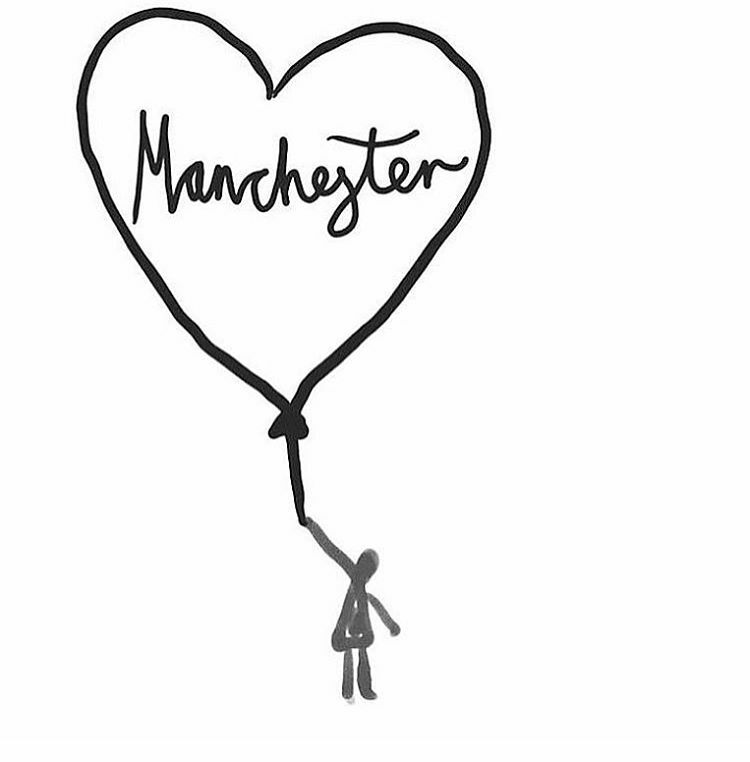 Of course there are highlights, and the Ed Sheeran penned second single 'Little Things' is a real gem. It's simple and delightful, and there's a delicacy not only to the lyrics but to the vocals that sets it apart from the rest of the album. 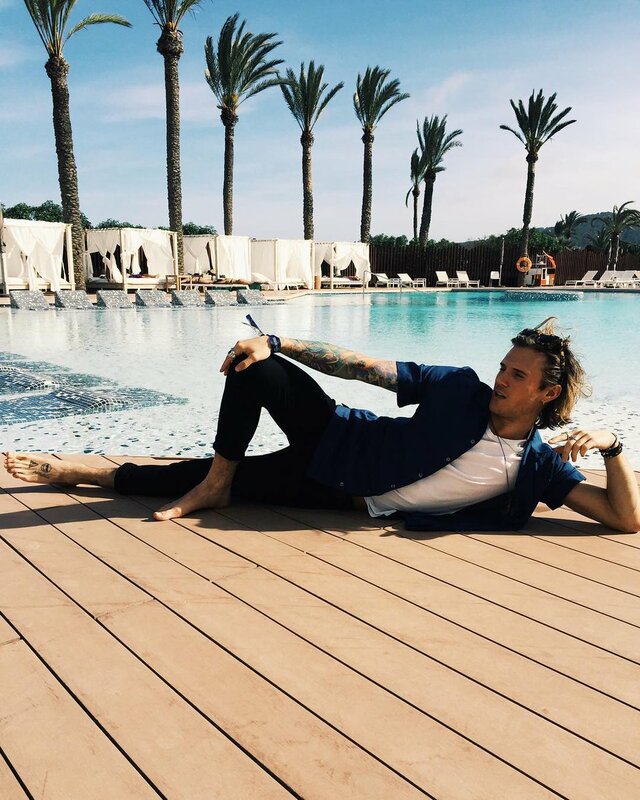 Danny Jones, Dougie Poynter and Tom Fletcher of McFly also collaborated with One Direction and co-wrote 'I would', while suggestive in its title is in fact a fairly sweet love song. 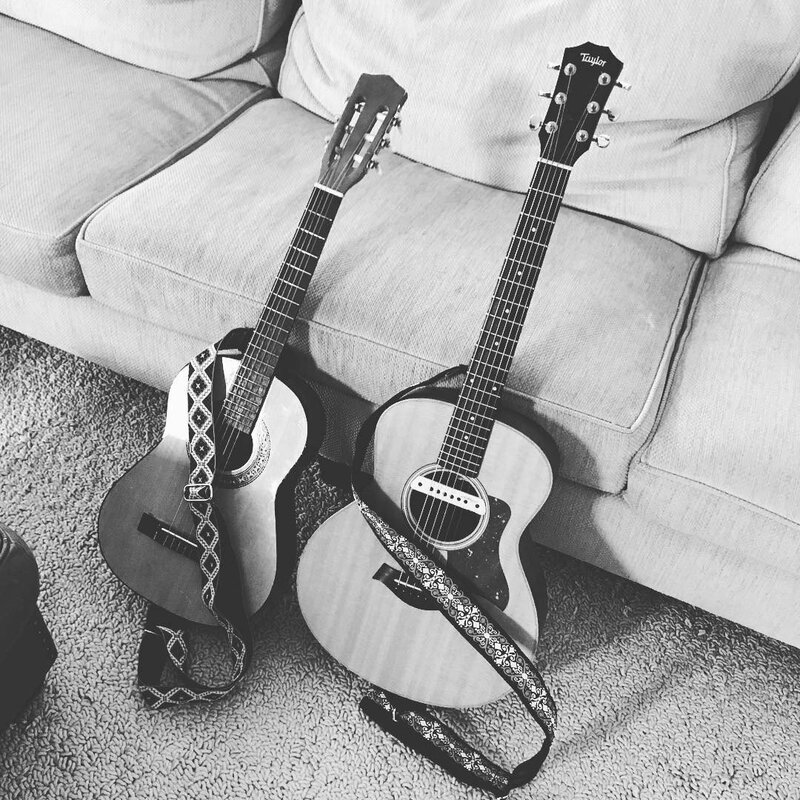 'Over Again', another co-written by Ed Sheeran is another lovely song, with interesting vocal rhythms and harmonies. RT @mcflyharry: Book recommendations anyone?